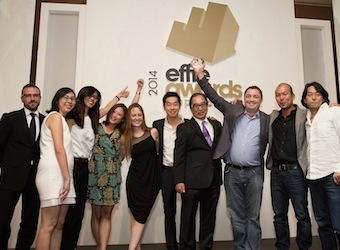 The APAC Effie celebrated the winners of the 2014 Awards at its Awards Gala in Singapore last night, presenting a total of 56 awards – 12 Golds, 26 Silvers and 18 Bronzes, as well as naming agency and network of the year. 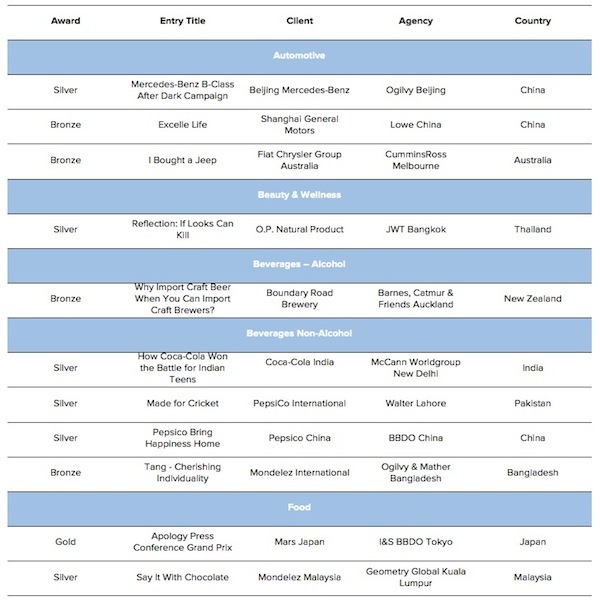 56 entries have emerged as winners from amongst finalists from 16 countries, proving to be the most effective marketing campaigns in the region. Australia, China and New Zealand are ranked the top three countries with the highest number of winners. BBDO Worldwide was named the Agency Network of the Year, picking up a total of two Golds, seven Silvers and six Bronzes from its agencies in the region. In the running were Ogilvy & Mather and Lowe & Partners. The Gold, Silver, Bronze winners and Finalists will be included in the Effie Effectiveness Index, a global ranking which identifies and ranks the most effective marketers, brands by analysing finalist and winner data from worldwide Effie competitions. 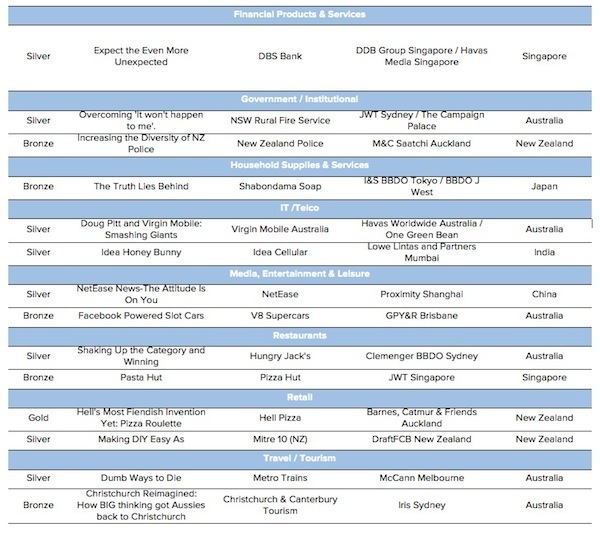 The full winners list can be viewed at the APAC Effie website.